Our Oceans' Coral Is Dying of... Herpes?? Coral around the world is in decline, destroying the natural habitat of thousands of different species. But scientists might have revealed a dirty truth behind the problem: coral could have a bad case of herpes. "Coral abundance in the Caribbean Sea has gone down about 80 percent in the past 30-40 years, and about one-third of the corals around the world are threatened with extinction. "We've identified 22 kinds of emerging disease that affect corals... we suspect viruses may play a role in this... and it's important to learn more about what is causing this problem. 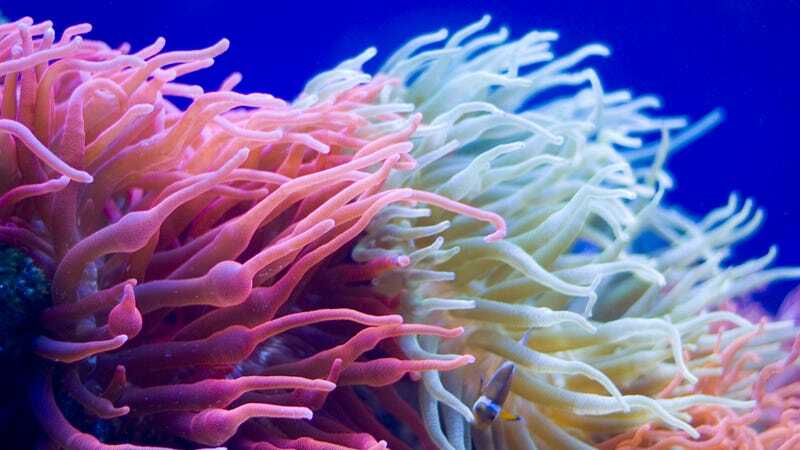 Corals are the building blocks of the tropical seas." In fact, the researchers were shocked to find herpes viruses—similar but not identical to the ones found in humans—in coral. They've observed that when coral begins to suffer, which may be encouraged by these herpes viruses, it becomes pale and loses its protective algae coating. In turn, that makes it more susceptible to damage from pollution and human interaction, which causes it to die off completely.